Get Birdbook: Freshwater Habitats and Birdbook: Farmland, Heathland, Mountain and Moorland together. 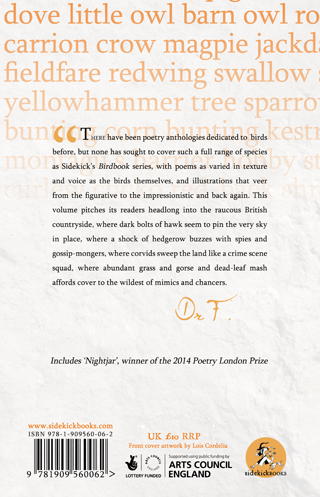 Over 100 British birds illustrated and poemified by dozens of contemporary poets and artists. 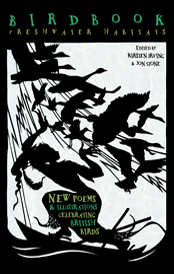 There have been poetry anthologies dedicated to birds before, but none has sought to cover such a full range of species as Sidekick's Birdbook series, with poems as varied in texture and voice as the birds themelves, and illustrations that veer from the figurative to the impressionistic and back again. 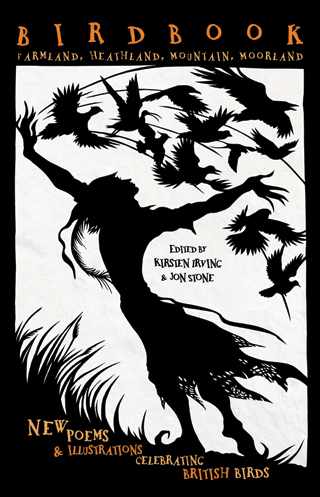 This volume pitches its readers headlong into the raucous British countryside, where dark bolts of hawk seem to pin the very sky in place, where a shock of hedgerow buzzes with spies and gossip-mongers, where corvids sweep the land like a crime scene squad, where abundant grass and gorse and dead-leaf mash affords cover to the wildest of mimics and chancers.